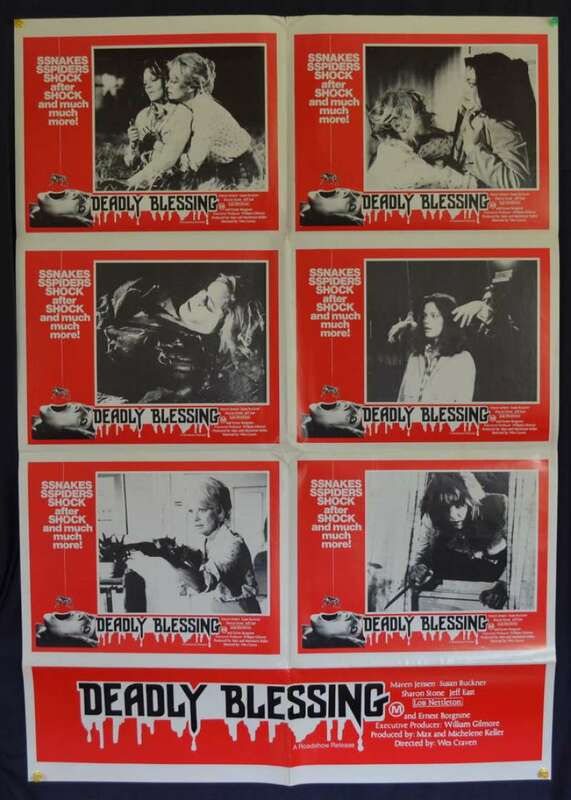 Original Australian Photosheet movie poster Deadly Blessing. Deadly Blessing is a 1981 American horror film directed by Wes Craven. 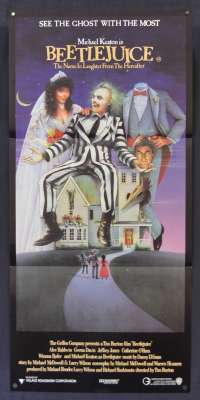 It was released on 14 August 1981. The film tells the story of a strange figure committing murder in a contemporary community that is not far from another community that believes in ancient evil and curses. It stars Ernest Borgnine, Maren Jensen, Susan Buckner (both women making their last feature film screen appearances), and Sharon Stone in an early role.